Spring takes the Dependency Injection to implement its framework. That is the reason why I have a tutorial about the Dependency Injection first. You should read this tutorial. As you know, the idea of Dependency Injection that is: you don’t depend on anyone, when you need someone, you will call them. But the question here: someone who you will call, where are they from? Closely to Java programming, the object which you need, where are they from? In Spring framework, Spring will have a container to contain all objects which we need. When you need some objects, you just only call Spring to provide the objects. OK, now I will show you a demo to ask Spring say “Hello world”, to help you all can understand what I just said. The latest version of Spring is 5.0.1.RELEASE. Now, to Spring can say “Hello world”, we need an object can do that first. Then, we will add this object to Spring container. Spring manages the objects by 2 ways: by XML file and by Annotations. In this tutorial, I just use XML file. In the future, I will have some other tutorials using Annotation. 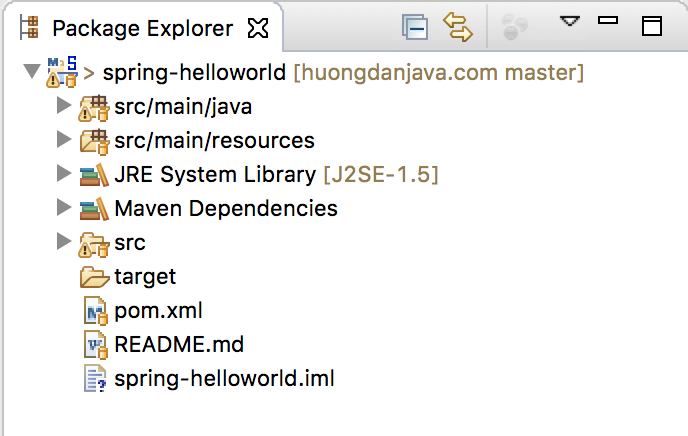 OK, now, let create an XML file in /src/main/resources folder of our project. The Spring configuration files should be here. 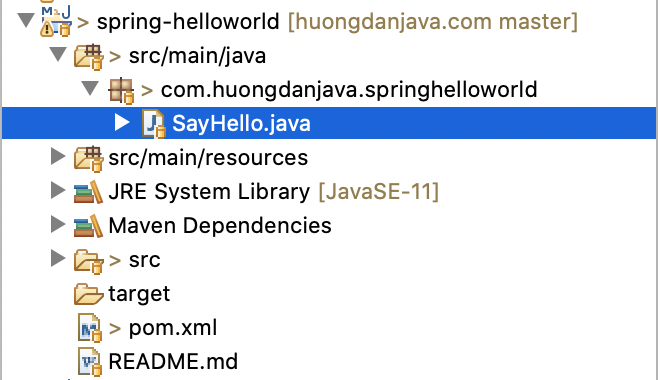 With above declaration, Spring will create a new object for class SayHello, assign it to an id and store this object in Spring container automatically. As you see, Spring considers our object as beans, each bean has an id and we will use this id to call to the object which we need.